Co-Optimus - News - Thursday Stream Recap: Taylor and Enoch vs Nuclear Throne! No? Well, what if your name was "Fish"? What then? Still nothing? How about if both your name was "Fish" and you were a humanoid, mutated fish? What if you had a laser pistol and a passing knowledge of how to roll? What if everyone else around you had a weapon, wanted you dead, and were real jerks about the whole thing? 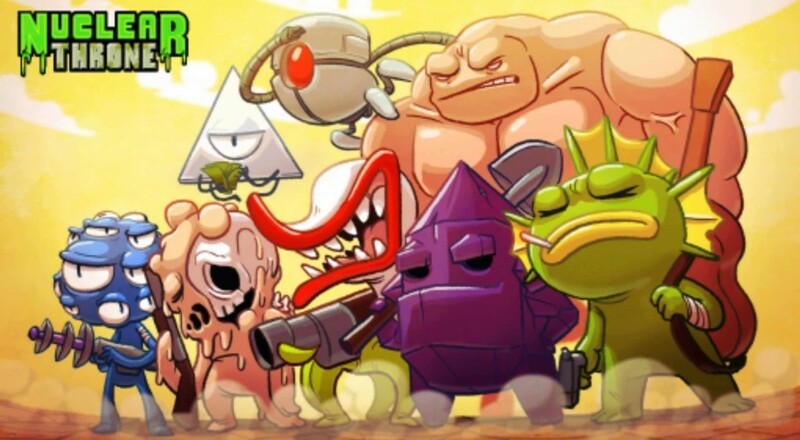 And what if you knew the only way to guarantee both your safety and the ability to rub their faces in said safety was to ascend this so-called "Nuclear Throne"? That's what I thought. Check out myself and Taylor's initial attempt to accomplish such a task in the two player co-op mode of roguelike shoot-em-up, Nuclear Throne. Hope you enjoyed it! Nuclear Throne is available on PlayStation 4, PlayStation Vita, and PC. It sports two player local co-op and all the obfuscated roguelike content your little heart could possibly desire. Page created in 0.4397 seconds.